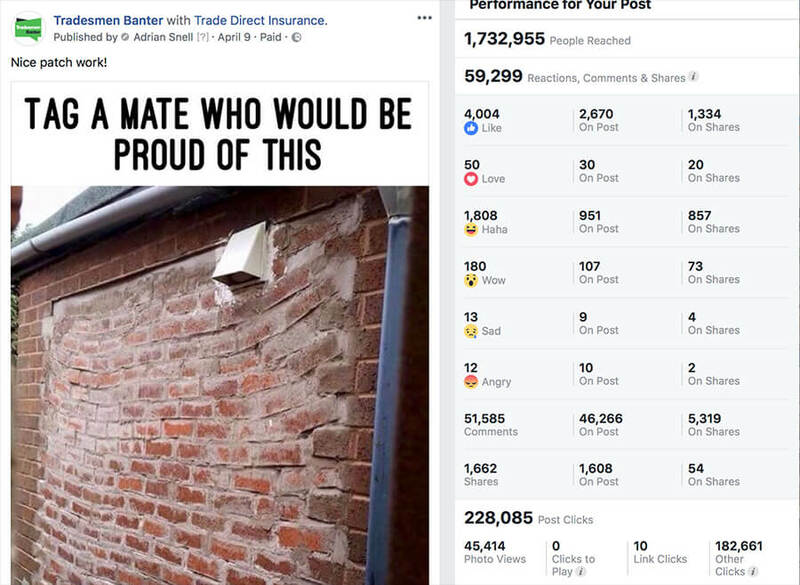 One of the largest UK trade focused social media communities with in excess of 450,000 Tradespeople. 15% of the Facebook page has been identified by Facebook as engaged shoppers (people who are premium buyers). 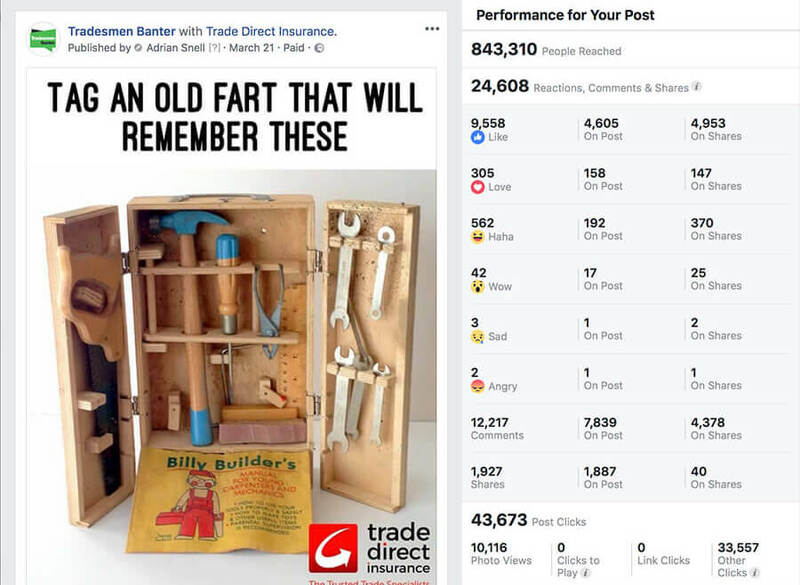 The average engagement percentage across Facebook pages is 1% (calculated on the number of likes, shares and comments to the number of page likes) whereas Tradesman Banter boasts an average engagement rate of 12%. Weekly reach of 1.5 million tradespeople.